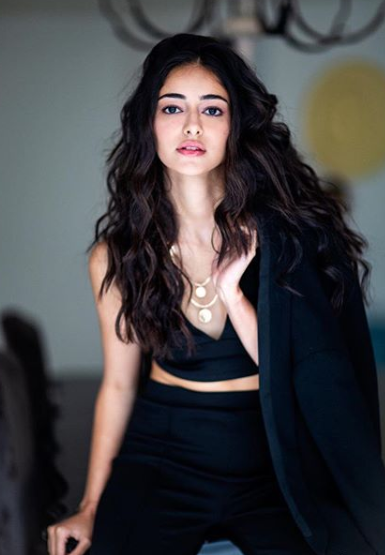 Ananya Panday is a Bollywood actress who was born and brought up in Mumbai. She is the actress of Bollywood actor Chunky Pandey. She was born on 30th October 1998 in Mumbai. She did her schooling and college from Mumbai itself and since her early days, she knew what she would like to do in her life. She did her schooling from Dhirubhai Ambani International School. Since she wanted to be an actress, she went to the US to study film-making at the University of Southern California. So, before she entered in B Town with her debut movie, she kept herself busy on the social media promoting her photos on social networking sites like Facebook and Instagram giving many a reason to pay heed to her. She is a good friend of Shah Rukh Khan’s daughter – Suhana Khan who is also gearing up to become an actress. She will be doing her debut in Bollywood with the film Student of the Year 2 opposite Tiger Shroff and the film is releasing on 10th May 2019. Talking about her personal life, she likes Varun Dhawan and Ranveer Singh, while her favorite actress includes Deepika Padukone and Kajol. She likes pizzas and chocolate, apart from listening to music and songs. She also likes Cricket and is a big fan of Virat Kohli. She also likes to read books and her favorite books include Divergent, The Sisterhood of Travelling Pants, and Diary of Wimpy Kid to name a few. Her favorite travel destination includes London and Las Vegas. She is a party animal and likes to party. Talking about her personal life, she has a boyfriend Karan Jaisingh, while her figure measures 32-24-34 and her weight is 50 kgs.